Who is helped by the PK-Collection? 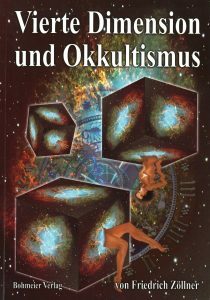 Book: The Fourth Dimension and Occultism – about the fourth dimension and Zöllner’s spiritual experiments with Henry Slade. Page 85: “In the session of the following day – the morning of the 6th of May 11:15 a.m. In the bright sunshine I should get to witness, unexpectedly and unprepared, a much more fantastic appearance of this kind. As usual I took a seat with Slade at the gaming table. Opposite me stood a small round table near the gaming table, as in other experiments had often been the case, exactly in the same position, as the experiments to be described below on Diagram V, attempted to faithfully reproduce photographically. The round table is 77 centimetres high, the diameter of the table top is 46 centimetres, it is made of birch wood and weighs 4,5 kilograms. Maybe one minute after Slade and I had sat down and had put our hands on top of each other, the round table started to sway slowly. We could both see this very clearly by watching the round table top peeking out from below the gaming table. I could not see its bottom part because the top of the gaming table was blocking it. The movements soon got more and the whole table approached the gaming table. Then it lay itself under the gaming table – three feet pointing in my direction. Neither I – and by the looks of it – nor Mr. Slade knew how this phenomenon would develop, because for a period of one minute nothing happened. Page 128: “Finally, I would like to speak about a session with Slade on the 15th December 1877 at 5 p.m. It took place in the usual session room in the house of my friend O.v. Hoffmann in the presence of his wife. It was the only session held with a partially darkened room, to carry out the experiment to see whether, in the presence of Slade, a similar thing would happen as with the 15-year-old Miss Cook and a human form would develop. Or at least a phantom shape would be generated as described by Prof. Crookes under the category “phantom shapes and faces“. To improvise a so-called cabinet, a string was pulled across the room opposite my usual place at the table. It was approx. 2 meters above the floor and a dark green curtain was draped from it that had the same width as the edge of the table. Slade sat at his usual place, to his right the wife of v. Hoffmann, then me and to my right sat Mr O. v. Hoffmann. We had already placed our hands one on top of the other on the table when I said that it was a pity we forgot to place a little bell on the table. At this very moment we heard a bell, in the corner to my right and approx. 2 meters away from the middle of the table. The room was weakly illuminated by the gaslight from the street and we saw a little bell floating slowly down from the shelf, where it had been, onto the carpet. There it moved jerkily forward until it was under our table. Here it began a lively ring while we all had our hands on the table top as described above. Suddenly a hand appeared through an opening in the middle of the curtain holding a bell. It placed the bell right in front of us in the middle of the table. Hereupon I expressed my wish to be allowed to hold this hand in mine. Immediately after saying so, the hand reappeared again out of the opening and while covering both of Slade’s hands with my left palm, I took with my right the hand peeking out of the opening and shook it. While laughing heartily I greeted a friend from the other world in a friendly manner. The hand exhibited a living warmth and it returned my handshake so friendly that I had a great desire to let this hand take me to the fourth dimension. Especially after the strange experiences with my academic “friends” in this world, I hoped to find more love of truth and honesty amongst the intelligent beings living there, than I did here. After I let go of the hand I gave it a board and challenged it to a test of strength. I would pull on one side and it should do the same on the other side, then we would see who could keep the board. Immediately this happened and after pulling the board back and forth a couple of times I came across the same elastic movement as if a human being would be holding the board. With a sharp jerk I got hold of the board. I again noticed that during all these events Mr. Slade sat calmly in front of us. Both of his hands in my left and then covered by the hands of the two other persons present.